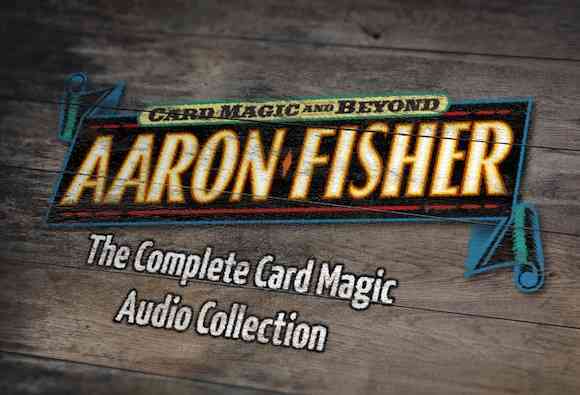 Welcome to the Aaron Fisher Card Magic audio library archive. It’s like the old days, when there used to be magic shops with back rooms. Once you got in, you could hear the pros talk and get the secrets behind the secrets – the protected knowledge that separates casual observers from the deadicated. As a card magic teacher, I regularly get questions from magicians all over asking me for advice on how to move forward. 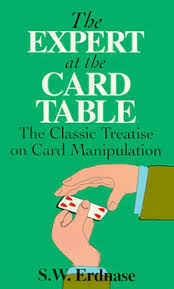 Most of the time, they ask really good questions that demonstrate clearly a genuine desire to to leave the ranks of the ordinary – and become a card magician in the highest sense of the word – A true sleight-of-hand artist – who can take any a deck, any time and create miracles for family, friends or even strangers in public. In this post, I’ll share with you the most popular audio talks we’ve released over the last 10 years. You’ll hear a treasure trove of stories and concepts to help you understand the mysteries of magic – and so, get stronger reactions from every audience you meet. 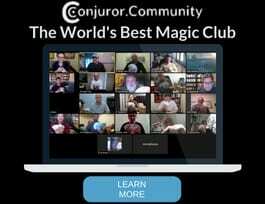 As you go through the recordings on this page, you’ll hear conversations about the great underground masters – and how we can use their ideas to perform stronger magic today. 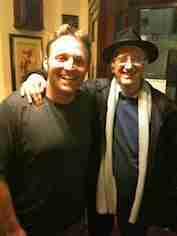 I’ll introduce you to the great magicians and teachers who fueled each step of my progression in magic. You’ll get an idea of what it was like to spend time with our fallen masters, like Jennings and Skinner and what it’s like to have a magic lesson over dinner with the greatest magician in the world, Juan Tamariz. Hopefully, these conversations will add fuel to your fire – and inspire you to investigate your magic even more deeply. For in doing that, you allow magic to unlock for you it’s most powerful secrets – and also, it’s greatest gifts. Aaron Talks with John Sanbonmatsu, Ph.D.
Simply’Right click’ here to download to your computer. Part 1: ‘right click’ here to download to your computer. Part 2: ‘right click’ here to download to your computer. It’s hard to find a technique in magic as beloved or misunderstood as the Classic Pass, sometimes called the two handed shift. While it is a challenging move – the chief difficulty is not, surprisingly, in finding the right finger positions or actions. The real challenge comes in understanding the true nature of the sleight – how it transforms the magician how practices it, and how in turn, that transformation leads to stronger magic and better reactions. In this conversation, you’ll discover how it can make your magic far more effective even if you never choose to use it in performance. As a practical matter – once you begin to appreciate the power of this phenomenal tool, you will want to use it – and all the time. My own video instruction on both the classic and invisible turnover passes can be found here. This approach to instruction gets faster, more durable results than any other training you’ll find. Simply ‘right click’ here to download to your computer. My teacher’s teacher was an legendary, almost mythical card player by the name of Frank Thompson. 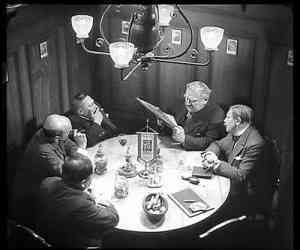 In many ways, Frank embodied the vision Erdnase described in Expert at the Card Table of the true underground expert. Among his peers, he was known to be rivaled only by Dai Vernon, Charlie Miller and Edward Marlo.When I asked a one of the greatest card men alive, Steve Freeman, to give his estimation of Frank Thompson – he likened Frank to Edward Marlo, if Marlo had never published a trick or move. This statement is important because Edward Marlo published more magic than just about any card magician who ever lived. 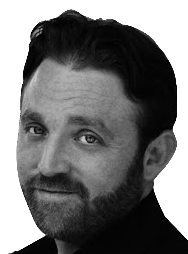 Through Franks Protege, I began studying Expert at the Card Table at the age of 18, and in many ways, the approach to natural technique hidden between the lines of it’s pages was pounded into my by Pete Francis – Frank’s only true apprentice. In this rare audio conversation, I sit down with Peter and discuss Frank Thompson and the true art of craftsmanship – as it was practiced by the masters during the last century. In this talk – you’ll find invaluable clues to guide you on your journey to card magic beyond amazement and above suspicion. Part 1: Simply ‘right click’ here to download to your computer. Part 2: Simply ‘right click’ here to download to your computer. So many new magic tricks, moves and ideas get released to the magic community these days, it seems in some sense like it must be a fairly easy thing to develop a new piece of truly original magic. In my experience – this is yet another of the many illusions magic presents us (the magicians!) when we set out to perform great magic. In these two conversations, we’ll discuss the history of sleight of hand over the last century: where the ideas come from, how to find them and how and when those ideas can be effectively altered or refined to create sleight of hand which isn’t merely novel, but actually further magic and take it to a more direct, effective and performable place. These talks are a must listen if you have the aspiration to not only perform – but actually create your own magic. 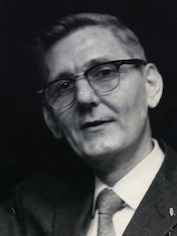 What we can learn from Erdnase. In 1902 S.W. 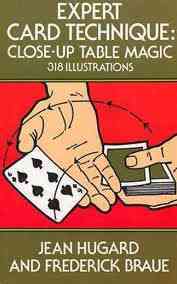 Erdnase released a book that changed the way card magic, and sleight-of-hand, function. 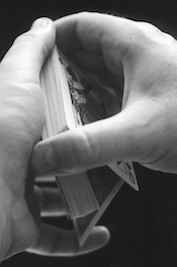 World sleight-of-hand card experts largely agree that no book ever written has described more effectively not only the mechanics of superior sleight-of-hand, but the mindset Erdnase used to apply those sleights at the card table. While these are largely the finest methods available for top and bottom palms, the two-handed shift (classic pass) and diagonal palm shifts (my favorite! ), the book is incredibly difficult to read and comprehend without guidance and support. These discussions will put Erdnase in context, tell you what the book can offer you and exactly how to go about getting the information out of the book. This book can be a great aid to your ability to amaze and audience – but it’s all about how you approach it. Listen to these discussions – the advice inside will help you make real progress quickly. My Magic Teachers – what they taught me – and how. Magic is more like an old and venerable martial art than it is like a standard hobby. For the most part, great magicians get a lot of help along the way from masters who’ve already walked the path. In this multi-part discussion series, I’ll tell you about my own journey in magic – which started 20 years ago as of this writing. You’ll follow me from a magic store counter in Washington D.C to Erdnase training in Baltimore. Then we travel to Las Vegas, where I meet, and learn from greats like Johnny Thompson, Larry Jennings, Michael Skinner and more. 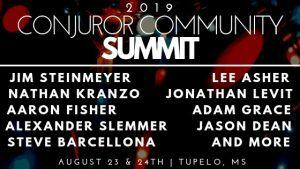 Then, as my interest and performances grew beyond cards tricks and even close up magic, mentors like Jim Steinmeyer, Jon Stetson, Eric Mead and Max Maven helped me develop in ways i never would have imagined. Simply right click here to download to your computer. 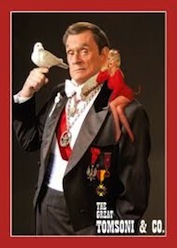 Many years ago now I visited Bill Kalush, who founded the Conjuring Arts Research Center suggested I go to Spain and see the greatest magician in the world work. I was skeptical I suppose – but not for long. In this discussion, you’ll find out all about my experiences in Spain, and what it’s like to spend time talking about magic with a true visionary.